Another more or less never heard of UK reggae gem has been made available via Bristol Archive Records. 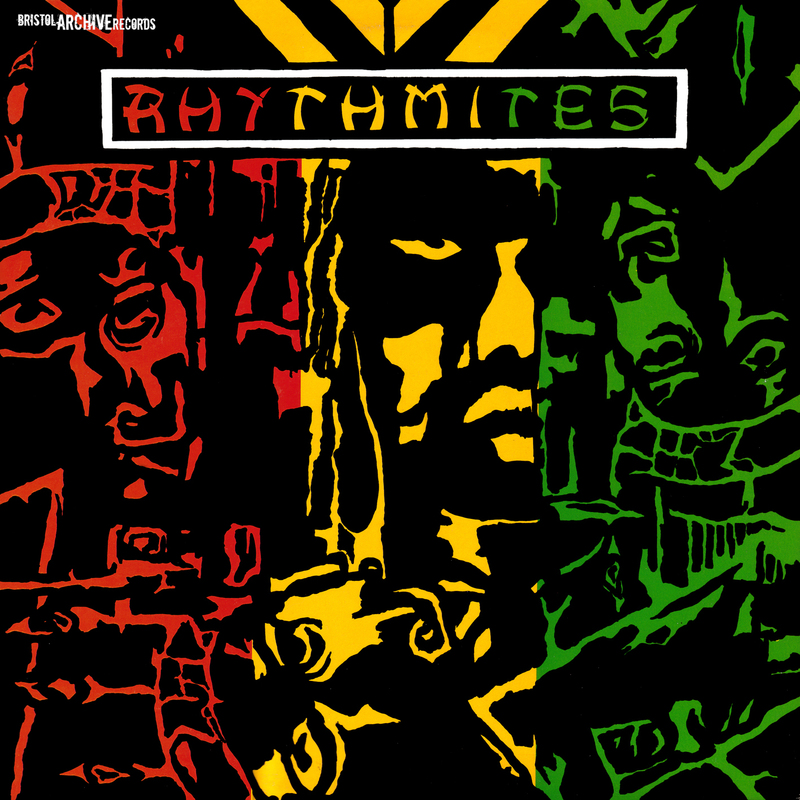 Rhythm-Ites formed in the mid-80s in Bath and dropped their debut album Integration in 1989. According to the band they were never really satisfied with the original mix, so the reissue of Integration is remixed using techniques of today. And it sounds solid with no attempts trying to make it sound like it was recorded in a more contemporary recording environment. It sounds like reggae did in 1989. Integration is a serious roots album. It’s partly digital and up-tempo with songs dealing with everyday life in Britain in the late 80s. Stand out tracks include pulsating album opener Nation Integration, No Stopping We, with its militant horns, and the dark No Guns. The original album only collected eight tracks and this reissue comes with two brand new exclusive dub versions, both sounding vintage with an 80s vibe. Successful British reissue label Bristol Archive Records have increased their operation to include long lost material from other UK towns and cities via the newly established sister label Reggae Archive Records. Its initial release is the lone album from Birmingham’s Eclipse, also known as The Eclipse Band. The original album title was Eclipsed, and has been reissued by French label Onlyroots on LP as Inner Reggae Rhythm. 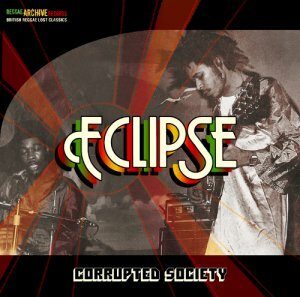 To confuse things further the album from Reggae Archive Records is titled Corrupted Society and collects the original eight tracks plus both sides of the bands final single along with two previously unreleased live recordings with surprisingly good audio quality. Eclipse were friends and contemporaries with Grammy winners Steel Pulse and were together for ten years, from 1975 until 1985. In that time they managed to release this Sidney Crooks-produced album and three 7”, a small and powerful legacy that definitely deserves to be recognised by a new and wider audience. The material on the album was recorded and written over 30 years ago, but sounds surprisingly fresh, both musically and lyrically. Titles such as Corrupted Society, Immigration and Six Dead deal with familiar topics and are as relevant today as they were in the late 70’s and early 80’s. Fans of early UK roots with household names such as Aswad, Black Slate, Black Roots, Misty in Roots and the aforementioned Steel Pulse won’t be disappointed with this set available on CD and digital platforms. Singer and musician Bunny Marrett was born in Jamaica in 1941, but moved to the UK in his teens. He learned to play piano with ska pioneer Laurel Aitken and dropped his first and only single in 1981. He penned songs for Bristol buddies Black Roots in the 80’s and recorded an album in 1986, an album released three weeks ago by Bristol Archive Records. 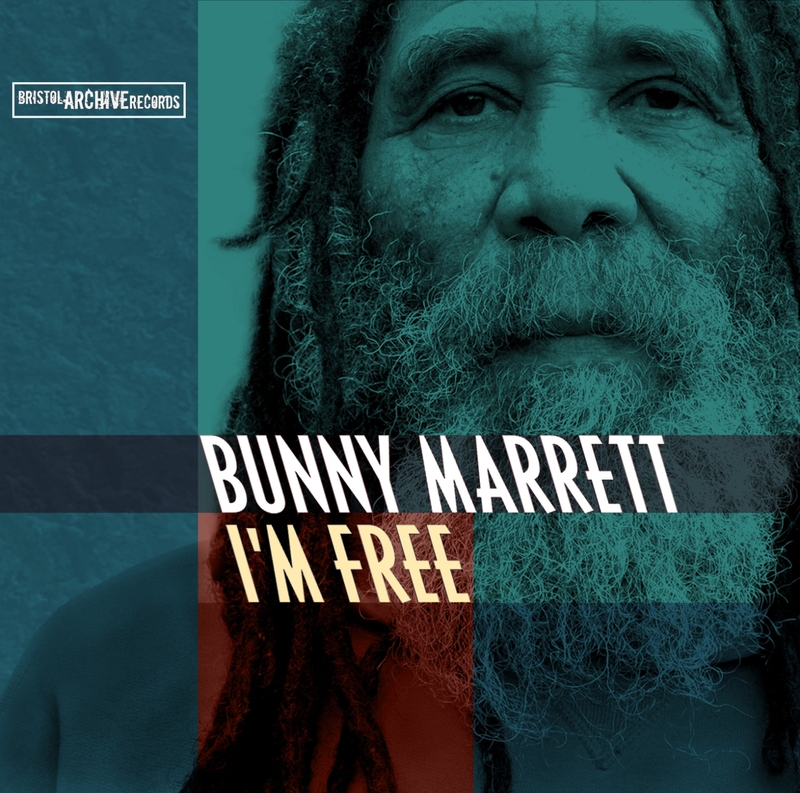 Bunny Marrett has one foot in reggae and the other in jazz and blues. The result is an eclectic mix of rugged bass lines played on acoustic bass and a breezy back beat. The sound is organic and folksy and it’s certainly his own. I’m Free holds eight tracks – six on the LP – of which are three/two are dub versions. Bunny Marrett’s non-melodic singing takes a while to get used to, and the backing actually shines brighter than the vocals, something that’s apparent in the dub cuts. This is an unusual album, and an album that needs a few listens to get acquired to. A grower if you will. Currently available on LP, CD and digital download. UK vocalist Dan Ratchet’s debut album now sees release on Bristol Archive Records after 26 years. The release has been preceded by the strong 12” Ekome is Unity/Afrikana Policies, also included on the album. Jah Poor People collects 16 tunes in a showcase style, i.e. each vocal is followed by its dub counterpart. The recordings were conducted in both Kingston and in London in 1985 and 1986 with production helmed by Dan Ratchet’s cousin Simbarashe Tongogara and mixing by Steven Stanley. A number of well-renowned musicians hosted the sessions, including Earl “Chinna” Smith, Sly Dunbar and members of Aswad and Misty in Roots. The album is semi-computerized with bouncy syndrums and a hint of Augustus “Gussie” Clarke’s powerful style. It ranges from the political themes of title track Jah Poor People and Afrikana Policies to expressions of love with tunes such as Sweet Rosie and Girl You Want My Love. The conscious cuts, which make up about half of the album, are by far the strongest. The lovers oriented material somewhat lowers the overall score. But this is nonetheless an interesting set, especially the first three tracks. 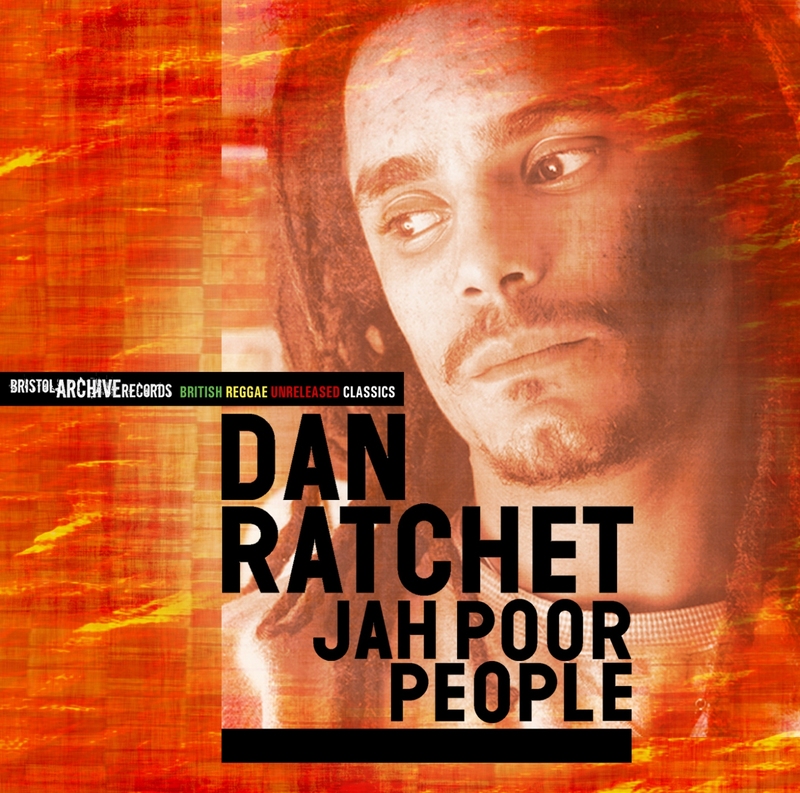 Jah Poor People hits the streets on July 16 as CD and digital download. UK label Bristol Archive Records has once again located a number of unreleased tunes from the early to mid 80’s. This time by Cool Runnings, a group that worked together during the entire 80’s, but only dropped one proper release – the rocking Robin Hoods of the Ghetto, included on Bristol Reggae Explosion vol. 2, and also on their self-titled debut album, that now sees the light of day 20 years after the members went their separate ways. 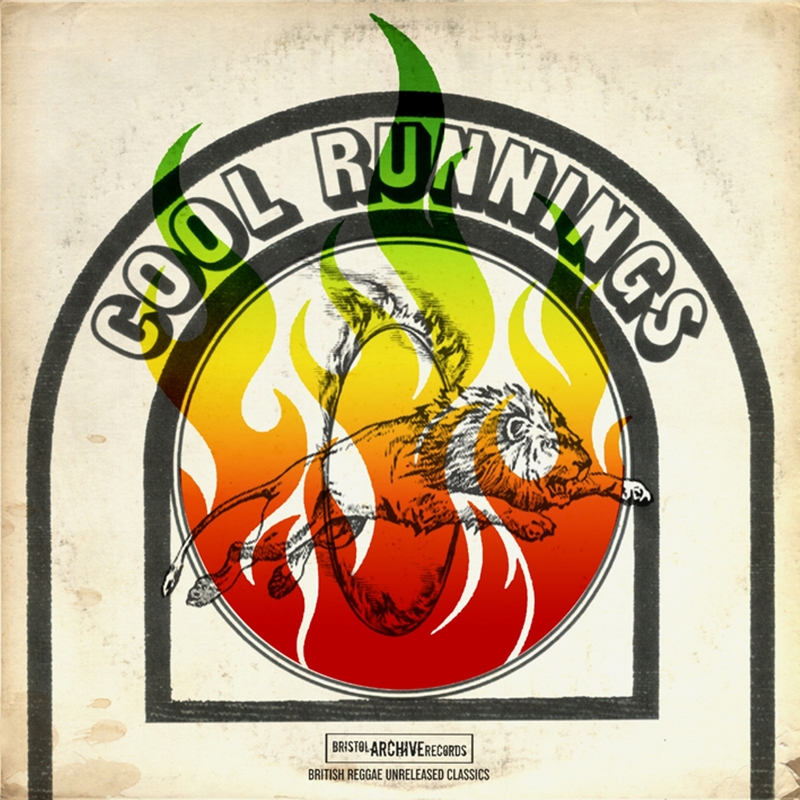 Cool Runnings collects twelve tunes in a smooth lovers rock style recorded between 1983 and 1985 at various local studios in Bristol along with a few of live tracks. And the lovers style is well-suited for Winston Minott’s delicate, almost whispering, singing style. There are however a number of head nodding conscious-themed songs with heavier bass lines, We Must Go Home is one example, Children of Zion another. The sound quality varies throughout the album, and it sometimes sounds like you’re in a closet, but you can’t have too high expectations on songs that have been lying around forgotten for almost 30 years. Cool Runnings is now available on CD and digital download. When talking about vintage UK roots reggae, groups such as Aswad, Steel Pulse and Misty in Roots usually come up. 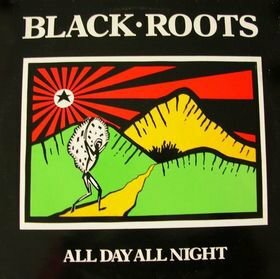 One of my all time favorite UK roots reggae outfits from the 70’s or early 80’s is however Bristol’s Black Roots, a group whose debut album from 1983 includes eight rock solid tunes. Last year British label Bristol Archive Records teamed up with Black Roots’ own Nubian Records in order to drop the critically acclaimed Black Roots – The Reggae Singles Anthology, a set collecting several immensely strong tracks. Now Bristol Archive Records have once more been allowed into the Black Roots/Nubian tape vaults. This time it’s about a 25th anniversary deluxe CD edition of the group’s fourth album All Day All Night, a set where they teamed up with Mad Professor and moving away from their original sound for a more polished version, embracing new technology and production techniques to present a more – at the time – contemporary UK sound. The music may have been brought up to date, but the lyrics concerned the same themes of social and historical justice that define the roots genre. All Day All Night originally included twelve tunes, and this deluxe edition adds another six – five dub versions and an extended 12” mix of Pin in the Ocean. All Day All Night is certainly worth reissuing, even if it sounds a bit more dated than their earlier and more roots oriented material. But even if lavish synthesizers are overused on some tracks, you can’t go wrong with the breezy nonchalant vocals in Realize or the mighty horn riff in Pin in the Ocean. Bristol Archive Records have as usual paid attention to detail and to complement the re-mastered music, the booklet includes many previously unpublished photos of the band. Available now on CD and digital download. Bristol Archive Records has dug out 15 songs from the little-known Bristol-based roots singer Joshua Moses, who supplied the excellent Africa (Is Our Land), Rise Up and Stick it Up to the label’s compilation series Bristol Reggae Explosion vol. 1, 2 & 3. 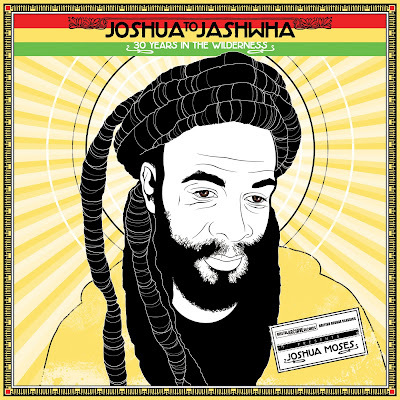 The tracks on Joshua Moses debut album were recorded between 1978 and 2003 and are collected as From Joshua to Jashwha – 30 Years in the Wilderness. And prior to Bristol Archive Records’ involvement the only tune previously released was the hard to find Africa (Is Our Land) along with its dub counterpart. Joshua Moses is a versatile and dedicated singer who can sing pure and clean as well as harsh and rugged. Or Curtis Mayfield falsetto style. Just listen to Suffering in the Past, Stick it Up or Children of the Light. Three styles, one singer. Musically this is mostly – the odd country and western-influenced Distant Guns being the grand exception – roots reggae of the highest order with hard working, grinding bass lines along with pulsating organ work. Lyrically it’s in the same vein. Repatriation, universal unity, spirituality and overcoming suffering are some of the themes. Out of the 15 tunes there are three dub versions and three live recordings and the sound quality is usually surprisingly good. Just as several of the other lost tunes and albums dug out and released by Bristol Archive Records it’s a mystery why these tunes have been forgotten all these years. It has been 30 years, but Joshua Moses now hopefully gets the recognition he deserves. The record business has been in a bad shape for years, and you don’t often hear success stories anymore. UK-based reissue label Bristol Archive Records is however one such. The label came from seemingly nowhere when the acclaimed compilation Bristol Reggae Explosion was put about one year ago. This compilation has been followed by two new volumes as well as other albums and singles. Thanks to the success of Bristol Archive Records Mike Darby – the man behind the label – has shifted focus on his other label, Sugar Shack. This label was previously releasing British rock artists, but from April and onwards reggae is the focal point. But that’s not all. Mike Darby has also taken the initiative to launch another reissue label. This one’s called Reggae Archive Records. I’ve talked to Mike about the success of Bristol Archive Records and its history and future. Check the story over at United Reggae. In early 2011 I didn’t know much about the reggae scene in Bristol, a city in south west England with about a million residents. 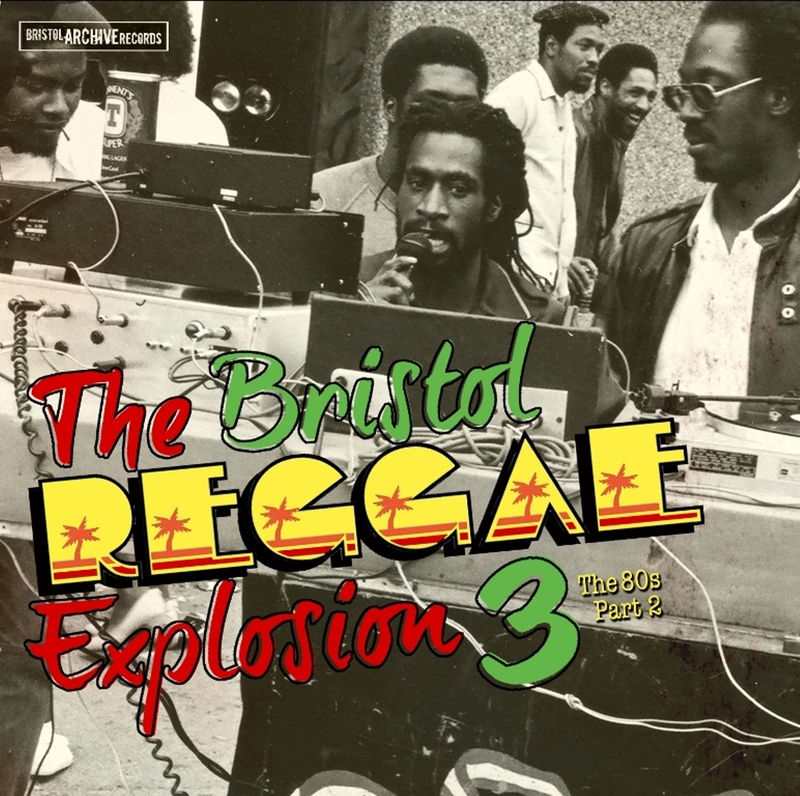 But thanks to the compilations Bristol Reggae Explosion 1 & 2 from Bristol Archive Records I’ve been enlightened about the city’s musical reggae heritage with bands such as Black Roots and Cool Runnings. The third edition in the series is titled Bristol Reggae Explosion 3 – The 80’s Part 2 and digs deep in 80’s Bristol, even though a lone track from 1979 has been included. It collects 15 tunes, of which no less than eleven are previously unreleased, from a variety of mainly obscure singers and bands. This set leans more towards roots reggae compared to the previous compilations, and the opening track Jah Praises from Revelation Rockers – who later changed their name to Talisman – sets the standard and mood. Talisman is also represented with the less roots oriented Takin’ the Strain and Lick & Run. If you have heard the previous editions you might recognize some of the names on the album. Bunny Marrett, Joshua Moses, Alfred McIntosh and Ron Green are some of the artists that happily enough turn up once again. Two of the strongest cuts are however from Zion Band – later Restriction – with the relentless roots scorcher Babylon Fire/Babylon Dub, taken from a scarce vinyl release, and Popsy Curious’ apocalyptic Chant Down Bobby Rome. Even though part of the title indicates an 80’s vibe with lush synthesizers and bombastic syndrums, it’s far from the truth. Bristol Reggae Explosion 3 provides an overview of the many reggae styles found in Bristol, but with a rootsy edge. Bristol Reggae Explosion 3 drops on CD, limited edition LP and digital download on March 19th. Bristol Archive Records has during the last year or so issued a bunch of heavyweight early UK roots gems, albums and tunes long forgotten, but well worth reissuing. 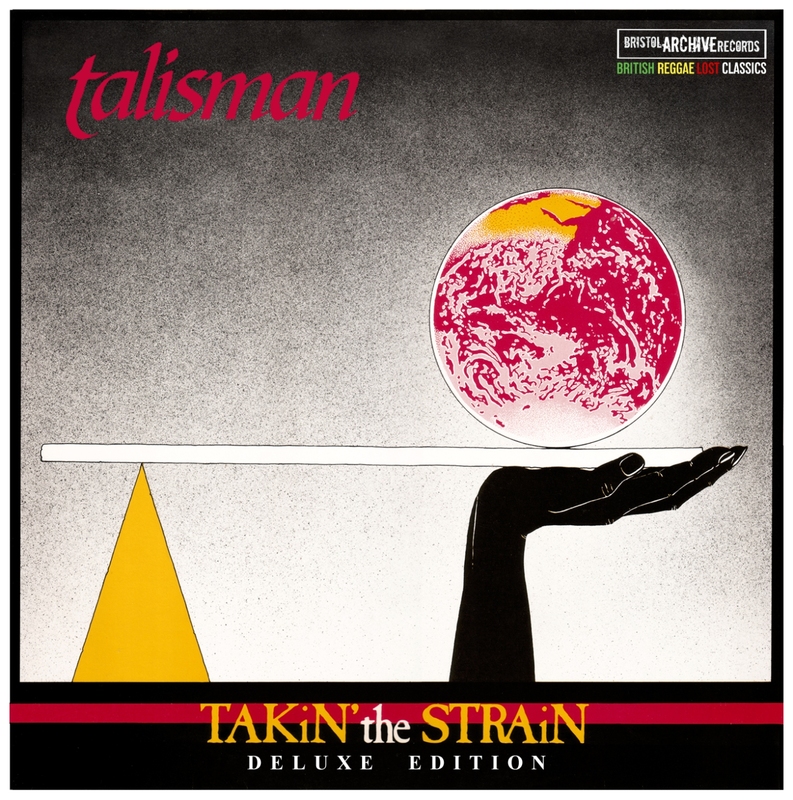 Their latest finding is Talisman’s debut studio album Takin’ the Strain, originally put out in 1984, and now released with five extra live cuts – one of which is previously unreleased. The CD version also comes with a booklet full of archive images and extensive liner notes based on the recollections of lead vocalist and guitarist Dehvan Othieno Sengor. Talisman begun their musical journey in 1976 and started out under the name of Revelation Rockers, an outfit who recorded five tunes in the 70’s, actually recently released by Bristol Archive Records under the title Jah Praises. Revelation Rockers’ set was jam-packed with powerful roots reggae, while Talisman’s debut album leans more towards pop, soul and funk. Takin’ the Strain hasn’t aged with dignity, mostly due to synthesizer arrangements that expired in the mid 80’s. The funky proto-rap Burn the Bread and the video game sounding I’m Sorry are two tunes best left in the drawer. Among the 14 tracks there are however several highlights, such as the title track and Ah Wah You Seh, even though I can’t forgive the quirky synthesizers. The sound quality on the five live workouts isn’t great, but the nine minute long unreleased Slow Poison shows a creative band capable of jamming. This might not be the best reissue from the Bristol Archive camp, but I celebrate their strive to dig out long lost music, even though some single tunes on this particular album might have been better left forgotten.